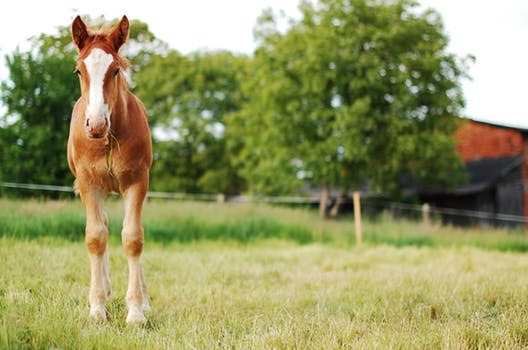 Whether you are moving to a new town due to a job transfer, need more land or are just looking for a new home, there are some things you’ll need to do to get your horse property ready to sell. Selling a home requires some sprucing up but selling a horse property can require more effort depending on its current state. Not only are you selling a home, but your property most likely features land, pastures, a barn, outbuildings and so much more. Here are some things you can do to get the right buyer to come through your door and to increase your home sale value. We’ve all heard the expression, “looking through rose-colored glasses.” When hoping to sell a horse property, you’ll need to put on your “buyers glasses,“ meaning, do your best to picture your property as a potential buyer would. Many of us become blind to imperfections or issues when we see them day in and day out. Try to imagine what impression your home and land provide. With these “buyers glasses” on do a thorough check of your entire location. Make a list of issues you discover. Prioritize this list in order of importance and begin to make repairs. This may include mending fences, replacing old or rotted wood on the barn, repairing damaged areas inside the barn or outbuildings and more. Sprucing up pathways to and from outbuildings improves appearances and applying a fresh coat of paint updates any indoor or outdoor area. Some projects may be DIY, and some may require outsourcing. Try to weight which projects are the most important and focus on those. Get ready to be cleaning a lot. Decluttering should be the first task at hand. Go through your home, garage, barn and any other buildings and declutter as best you can. Potential buyers can be overwhelmed by clutter which makes a space look chaotic and small. Throw away or donate what you don’t need and store essentials elsewhere. Once the clutter is gone, spend some time organizing what remains. A horse barn that is organized is a beautiful sight to a horse lover. Then be ready to clean and clean and clean. Not only will you need to clean, but you will need to maintain cleanliness. Being prepared for buyers to come by and look at a moment’s notice can make things much less stressful. Finally, be sure to sign up with an agent to help sell your horse property. Having an agent that specializes in horse properties is essential. They can guide you through every step of the process. You can rely on them for sprucing up advice because they know what current horse property buyers are looking for. They know how and where to advertise your home. All the agents at My Kansas City Horse Property are experts in their field with years and years of experience. They are horse owners themselves. Contact My Kansas City Horse Property online or call (913)266-6616 to discuss getting your horse property ready to sell and on the market today.